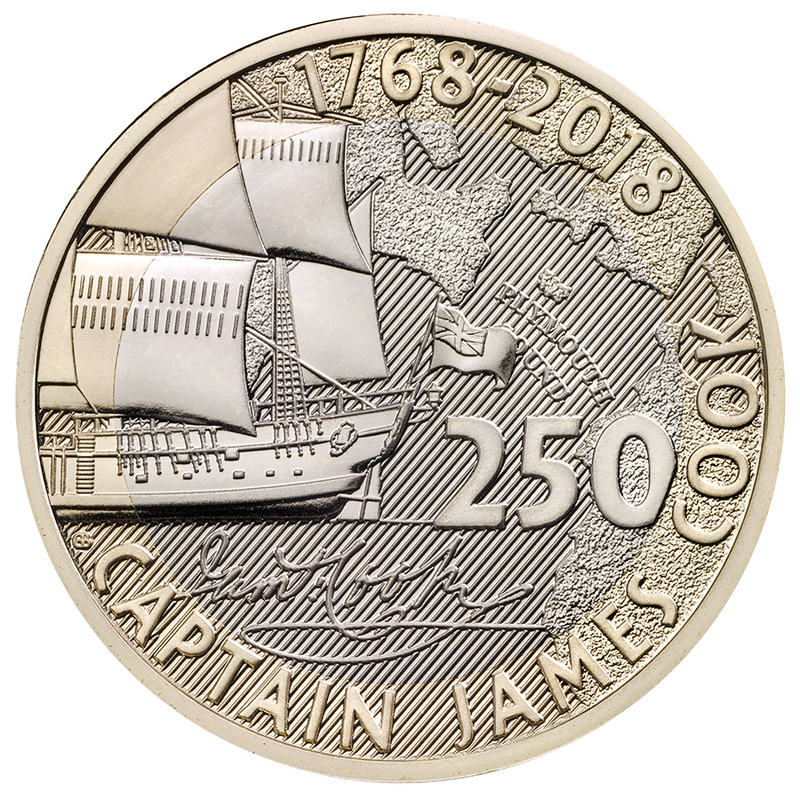 The Royal Mint has embarked upon a new three-year series to mark the 250th anniversary of Captain Cook’s epic Voyage of Discovery aboard HM Bark Endeavour. 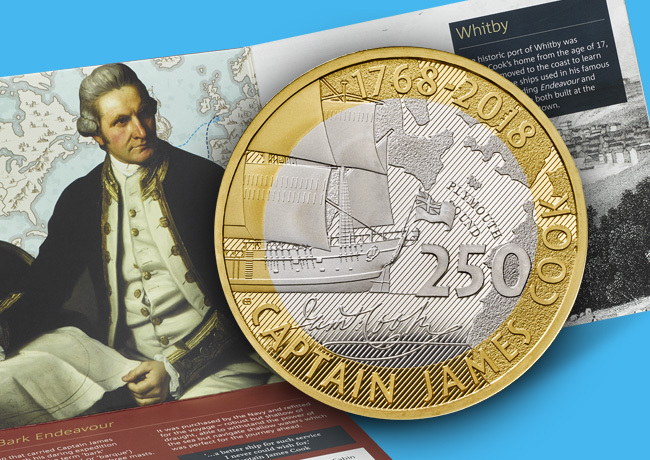 The son of a farm hand, Captain James Cook grew up in the historic port of Whitby from the age of 17. 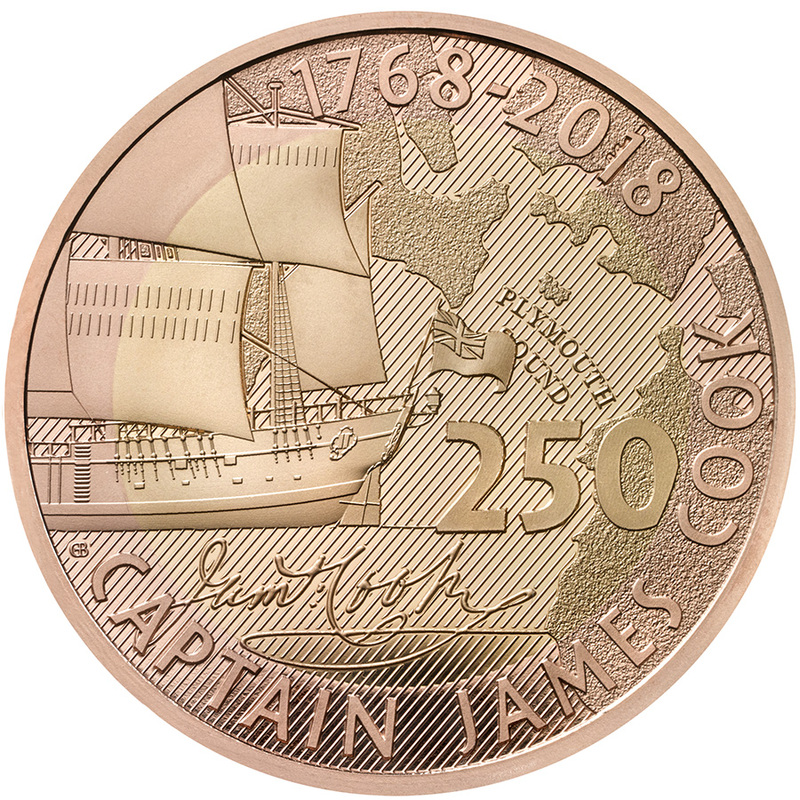 In August 1768, Cook and his crew set sail on HM Bark Endeavour, commencing what would become a three-year voyage of discovery. It was the first of three such journeys for the intrepid pioneer, during which he would circumnavigate the world twice. 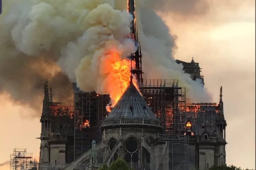 His spirit of adventure helped to fill in the blanks on the world map and improve our knowledge of new places, peoples, plants and even other planets. 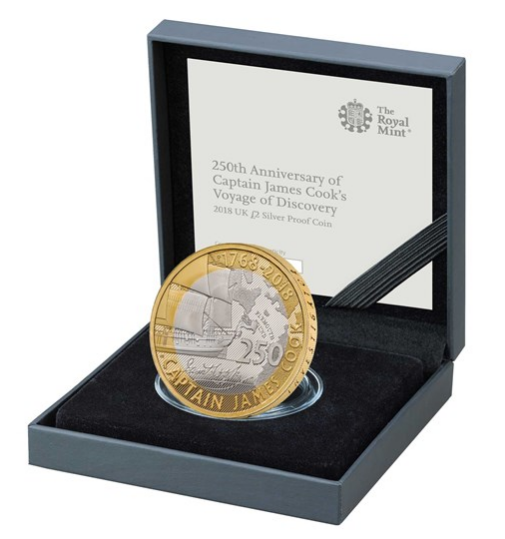 The ship that carried Captain James Cook through his daring expedition was Endeavour. The term ‘bark’ (sometimes spelled ‘barc’ or ‘barque’) describes a sailing vessel with three masts. Cook’s ship was originally a coal ship, or collier, called Earl of Pembroke. It was purchased by the Navy and refitted for the voyage – robust but shallow of draught, able to withstand the power of the sea but navigate shallow waters which was perfect for the journey ahead. 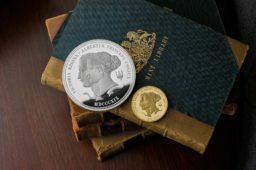 The commemorative coins is available in a range of finishes and available to purchase from The Royal Mint website – www.royalmint.com. 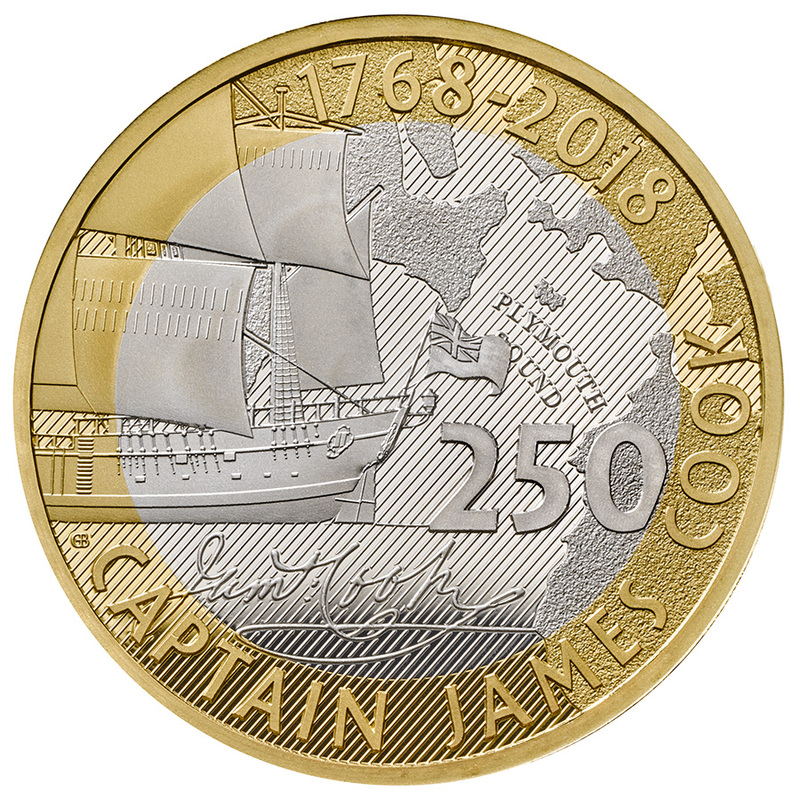 Designer Gary Breeze’s puzzle design builds over three years to tell Captain Cook’s story. 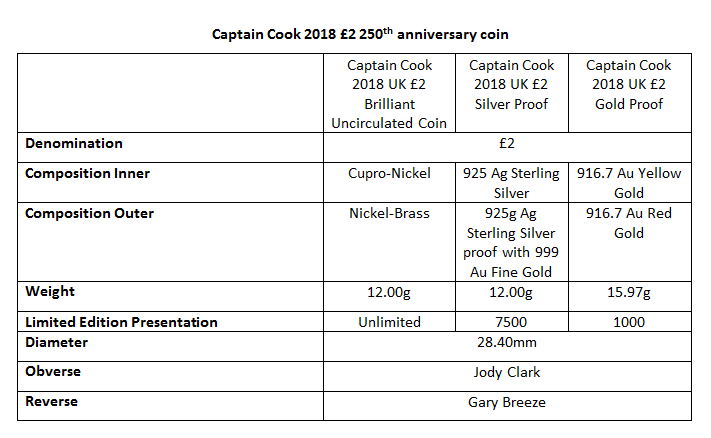 Royal Mint offers possibility to order individualy 2018 silver and gold coin or the whole series from 2018 to 2020 siver and gold coins. 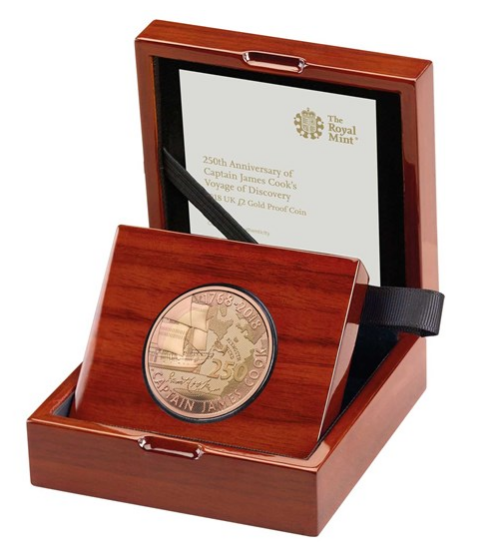 Source: Royal Mint and NUMISMAG©.